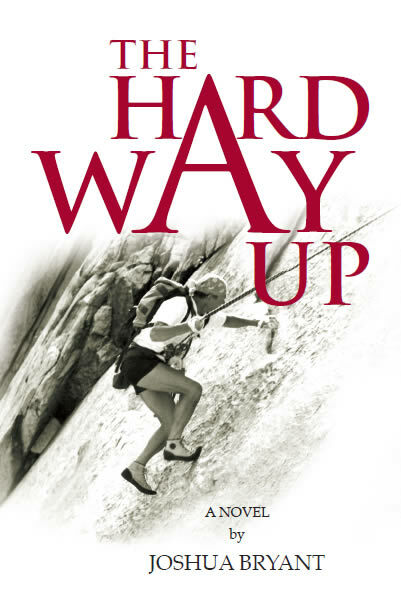 Following a climbing accident that leaves his female companion dead and him severely injured, Lowell Kennedy returns to the same mountain a year later searching for some kind of resolution. Instead he becomes a suspect in a possible murder. Joshua Bryant is the co-author of an awardwinning play, Class Act and the teleplay for HBO entitled Misconception, co-author of the “petits livres” Did You Know New Mexico and Santa Fe In Your Pocket. He has contributed Op-Ed pieces to The Los Angeles Times as well as articles on rock climbing and various outdoor activities for sundry other journals and magazines. "I meant… well, like last winter…. I mean, we lose several people a year in these mountains one way or another, but last winter a family came up to play in the snow and one of the men, a father whose kids were there at the time, decided to slide down a snow chute for fun. His brother was there, too, and he and the man’s wife tried to talk him out of it but they couldn’t. They were parked at the side of the highway where the chute was and the whole family stood there and watched this guy sit down in the snow and slide away. They came to ask us to look for him when he didn’t reappear after a couple of hours. It was too steep for them to get down there. We found him about three quarters of the way down. He’d been going real fast and hit a tree and crushed his chest. That was it. Boy scouts in t-shirts and sneakers who hit some ice and go down a canyon, break a leg and freeze to death, fat ladies, lost skiers...."
I drank some of the spiked coffee. Books are special. If the words resonate with us we get to participate in the story or event by running it through our own imagination. Thus, the experience is unique in some ways to us alone. A walk in the woods seen on film or video is always somebody else's walk in the woods. Nor are images on a screen the same as print or pictures on a page. I'm interested in preserving the sanctity of books, so there won't be any "e" versions of this one.